Printed scarves look gorgeous when they are worn with clothes. They look fashionable if the print it right and it goes well with the color. You can go wrong with a printed scarf, it can make your outfit look disastrous, but with a right one you can transform your look entirely. You just have to choose which one goes with your personality and most importantly your dress. When you go out to buy a scarf there are numerous options in front of you. There are so many prints to choose from, it can confuse you sometimes but if you are focused and you have the finished look in your mind then you can go ahead and buy the scarf. Prints can be small or large, they can be of a same thing repeated over or they can be abstract with a lot of different prints brought together. What you buy should be according to the dress you are planning to wear casually or on an occasion. Now the biggest mistakes girls make while wearing a printed scarf is by wearing it with a printed dress. A printed scarf and a printed dress wore simultaneously is a fashion disaster and a big NO. Stay away from this look. Wear a plain one with a printed dress, but if you are very keen on wearing print on print then choose a scarf which has a very small print and they are apart from each other with a plain background. If your dress is plain then you cannot go wrong with a printed scarf. Wear any color or print you like. Abstract and big colorful prints look gorgeous with a plain dress. If your dress is plain and is of bright color then wear small prints with neutral colors. It is all about the contrast you are trying to make with your dress. 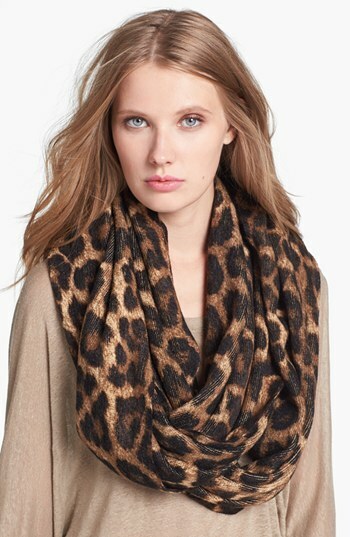 TheFashionScarves.Com brings you the all new collection of Leopard Print Scarves, When you go out for shopping imagine your whole outfit put together in your mind and buy your scarf according to that, imagine the print of the scarf with your dress. This will give you a clear idea of what you want and will make it easier to choose from the wide range of options you have in front of you. The prints could be according to your mood, if you feel joyful and happy, then there are vibrant prints, flowery prints, prints with cute shapes etc. if you’re in a depressed or sad mood then there are prints for that too, they are darker in color usually black, grey or both. The prints can be worn according to season as well, if there is an autumn season then brown or orange shades with dried leaves print or different autumn colored prints looks good. In summers vibrant and fresh prints with a lot of bright colors are in fashion. So buy what you want to buy according to the latest fashion and trends and spice up your look by accessorizing it with scarves. Put a scarf together with your outfit and give it your own innovative twist and look to it.